The unofficial start of summer has commenced and more anglers than ever are now on the water. Make the most of your time, whether you’re on the bank or in the boat, with help from our panel of angling pro’s. 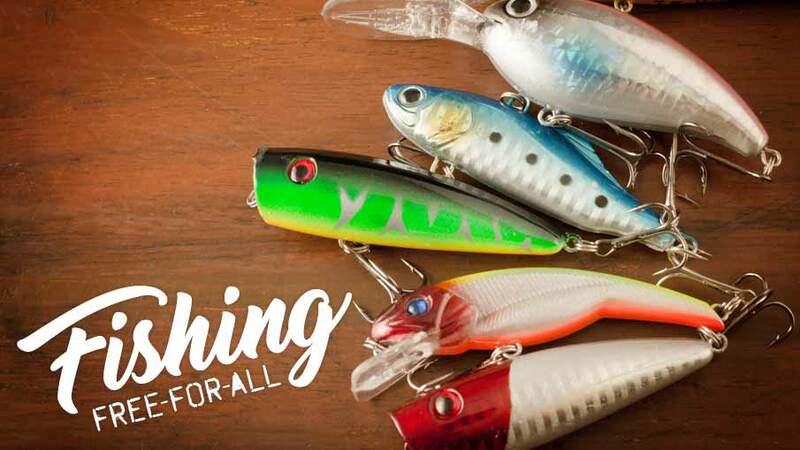 Listen for timely tips and advice to help you fill your stringer or live well from Doug Stange, editor of In-Fisherman Magazine and host of In-Fisherman Television on Sportsman Channel. Then don’t miss Charlie Moore host of Charlie Moore: No Offense on World Fishing Network and our resident catfish expert CatDaddy. This June Fishing Free-For-All is presented by Outdoor Channel, Sportsman Channel, World Fishing Network and MyOutdoorTV. Doug Stange is the Editor in Chief of In-Fisherman magazine and the host of In-Fisherman Television on Sportsman Channel. For more than 30 years Doug has been at the helm of the editorial team at In-Fisherman magazine, working to create a publication that gives anglers a variety of multispecies freshwater fishing information. This week Doug is zeroing in on crappie with tips for how to locate and land them. Tune in for more information about using injection baits and find out what to look for in a good crappie rod. Doug will talk about the spawning progression starting in Texas and moving northward, and how a rise in water temperature triggers the crappie to move to shallower water. “The fish want to push shallow as soon as the water temperature reaches 50 degrees. That first initial movement shallow isn’t about spawning so much as it is about feeding.” Find out how to pinpoint crappie and ultimately get more on your hook. Charlie Moore is a passionate and high energy angler and host of Charlie Moore: No Offense on World Fishing Network. Tune in to The Revolution this week as Charlie talks bass fishing in the Northeast with Jim and Trav. Spring is throwing different weather patterns at anglers across the country and the Northeast is no exception. Charlie says cool temperatures have put the bass behind and overall the fishing is a little more difficult. He tells Jim and Trav that right now he’s throwing tube baits, using big spinner baits when it’s windy, and throwing rattle traps to locate the bass. While he has fished endless bodies of water during his career, Charlie says that one shines above the rest. “There is no better lake, in my opinion, than Lake Champlain for all around big large mouth, big small mouth, walleye, pike, musky and all the rest.” Tune in for more from “The Mad Fisherman”. “When the fish are locked up on spawn, they just don’t bite worth a hoot,” says CatDaddy. If you are hoping to hook up with some monster catfish this week, CatDaddy says to put on the brakes and instead of heading for the water, stay home and get a bucket of beans fermenting. Impending warmer weather brings one of CatDaddy’s favorite times of year, fishing over the bean hole. When the temperatures start to soar, you can employ this sound technique from CatDaddy and enjoy the numerous explosive bites that will result from this stinky concoction. Find out how to master the summer catfish bite this week.